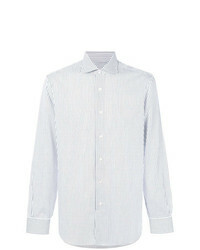 When the dress code calls for a classy yet neat menswear style, pair a white and blue vertical striped dress shirt with charcoal jeans. 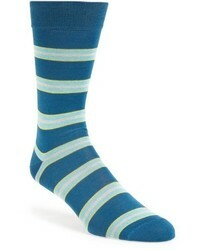 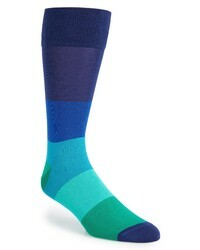 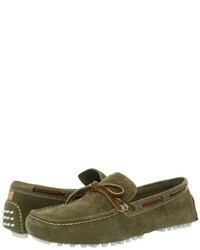 To inject a fun touch into your ensemble, complement this look with a pair of olive suede boat shoes. 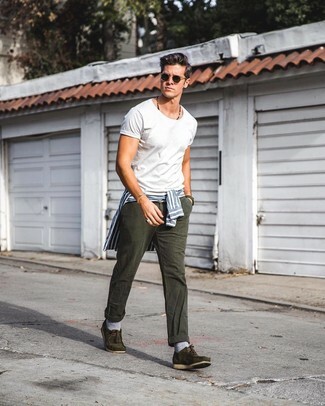 Consider pairing a white and blue vertical striped dress shirt with a white crew-neck t-shirt for an everyday look that's full of charm and character. 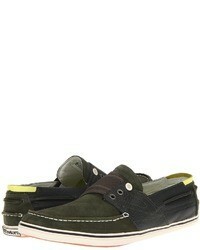 Olive suede boat shoes are a nice choice to finish off this look. 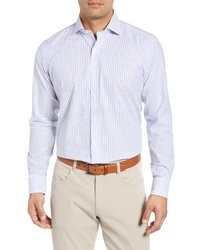 PETER MILLAR COL... Chambray Stripe Sport Shirt $198 Free US shipping AND returns! 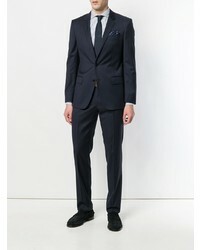 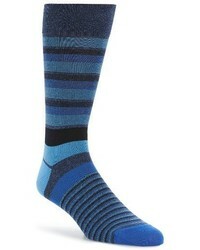 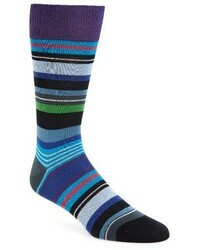 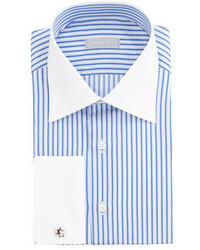 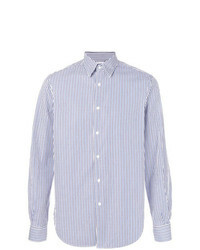 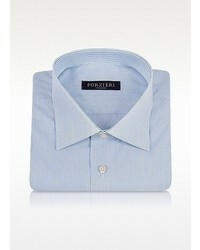 Robert Talbott Tailored Fit Stripe Dress Shirt $268 Free US shipping AND returns! 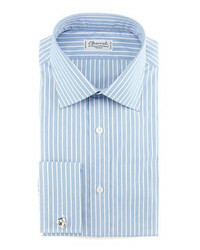 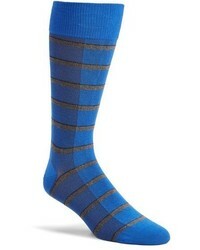 Finamore 1925 Na... Striped Long Sleeve Shirt $174 $290 Free US Shipping! 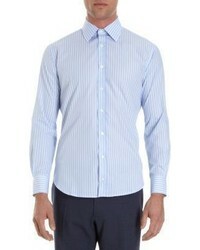 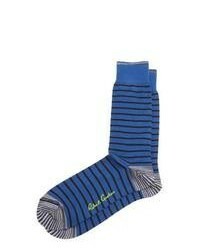 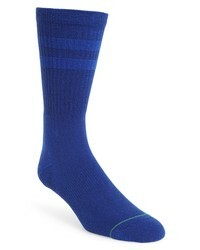 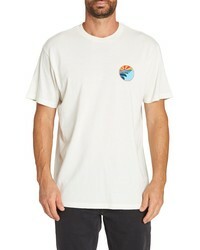 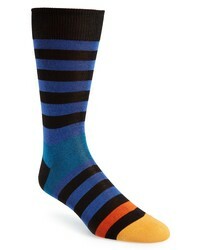 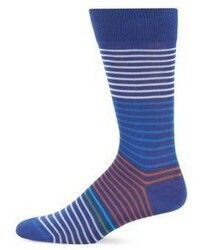 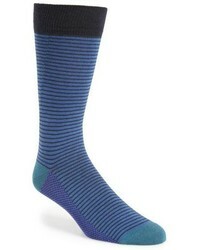 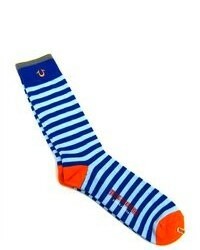 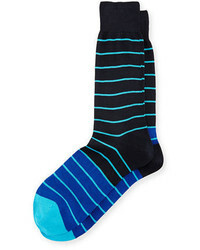 Aspesi Striped Shirt $197 $246 Free US Shipping! 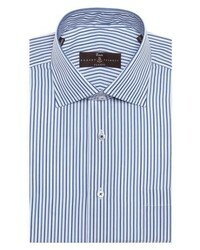 Charvet Striped French Cuff Dress Shirt Bluewhite $485 Free US Shipping! 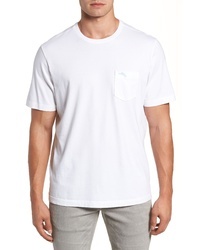 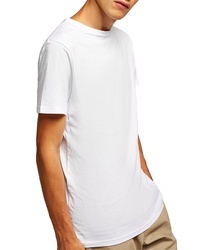 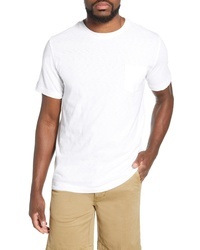 This pairing of a white crew-neck t-shirt and charcoal jeans is an exciting choice for off duty. 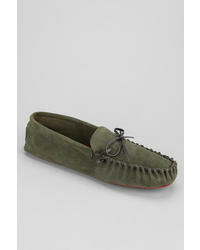 Why not introduce a pair of olive suede boat shoes to the equation for an element of polish? 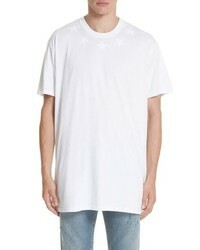 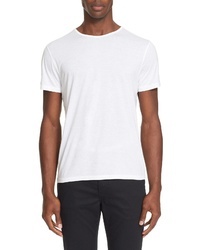 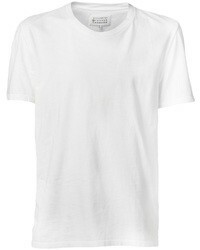 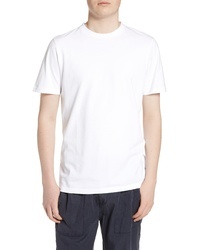 If the setting allows an off-duty look, wear a white crew-neck t-shirt with charcoal jeans. 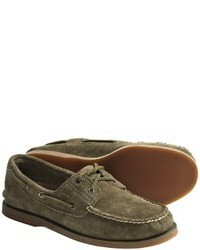 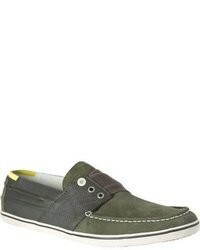 Introduce a pair of olive suede boat shoes to your look to instantly up the wow factor of this look. 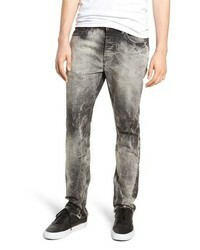 Citizens of Huma... Side Straight Leg Jeans $224 Free US shipping AND returns! 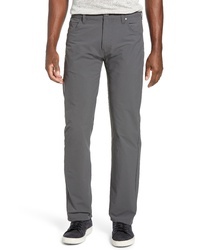 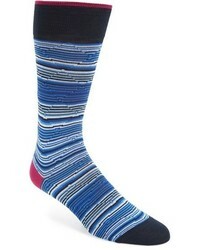 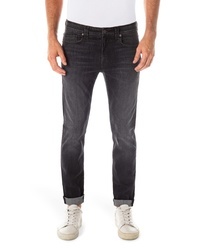 Rodd & Gunn Motion Straight Fit Jeans $158 Free US shipping AND returns! 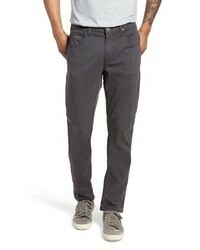 Patagonia Stonycraft Regular Fit Jeans $69 Free US shipping AND returns! 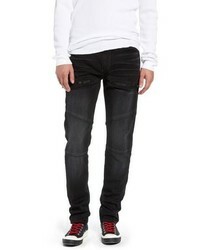 True Religion Br... Rocco Skinny Fit Moto Jeans $186 $279 Free US shipping AND returns! 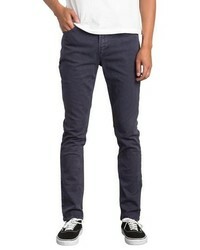 Volcom Vorta Slim Fit Jeans $60 Free US shipping AND returns! 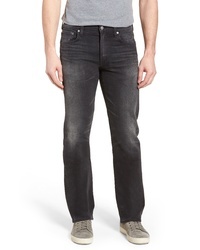 Fidelity Denim Torino Slim Fit Jeans $218 Free US shipping AND returns! 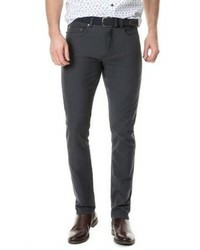 Hudson Jeans Blake Slim Fit Jeans $149 $175 Free US shipping AND returns! 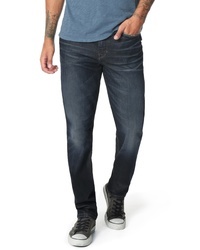 34 Heritage Courage Straight Leg Jeans $185 Free US shipping AND returns! 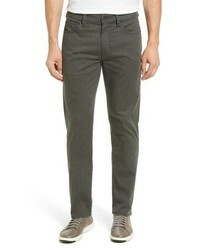 Hudson Jeans Vaughn Skinny Fit Jeans $275 Free US shipping AND returns! 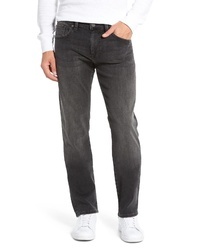 Joe's Folsom Slim Fit Jeans $93 $188 Free US shipping AND returns! 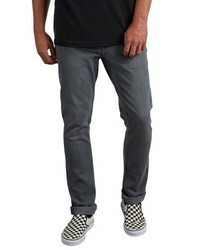 RVCA Daggers Slim Straight Leg Jeans $65 Free US shipping AND returns! 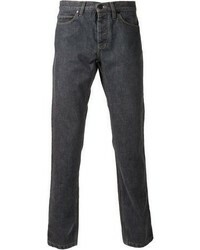 34 Heritage Courage Straight Leg Jeans $123 $185 Free US shipping AND returns! 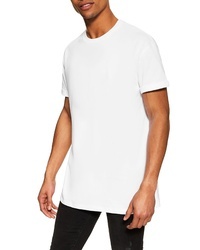 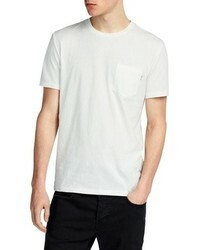 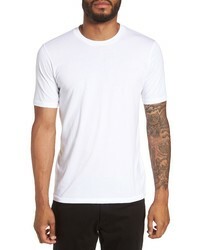 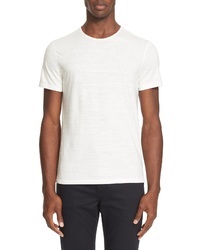 A white crew-neck t-shirt and charcoal jeans are an easy way to inject extra cool into your daily casual rotation. 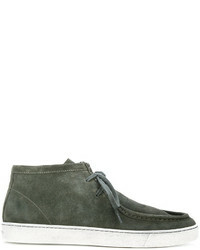 To give your overall outfit a more polished touch, why not complement this outfit with a pair of olive suede boat shoes?